I'm going to do something a little different this week. As I have so many zucchinis I have decided I am going to post a recipe a day for the next week using the zuc's from my garden - along with anything else I manage to forage for and use. 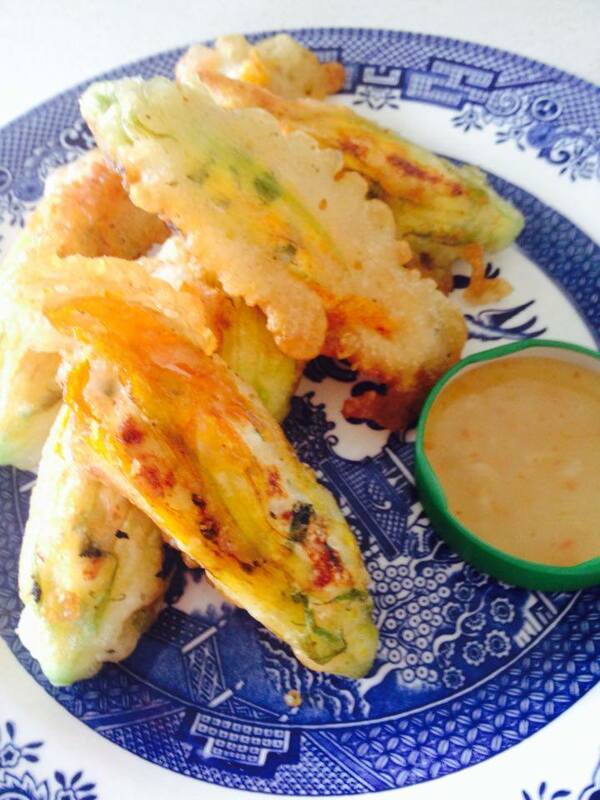 First up I'm using zucchini flowers. 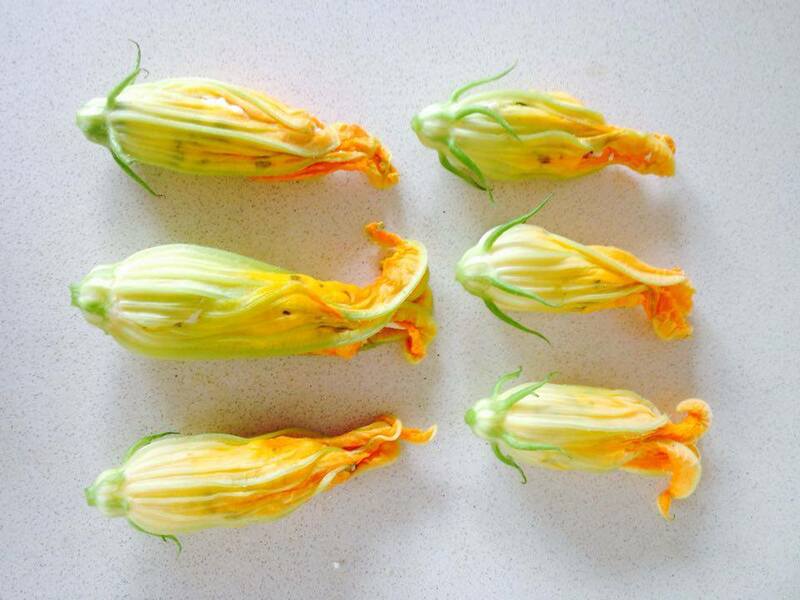 There are plenty of different ways to cook the flowers and this one had the kids gobbling them up! 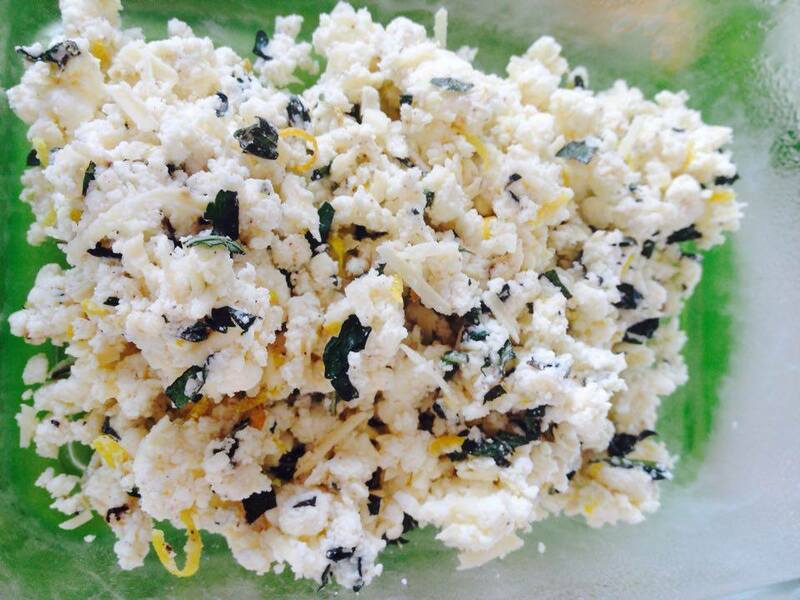 Mix the ricotta in a bowl with the nutmeg, the Parmesan, lemon zest and most of the chopped mint and chilies. Season carefully, with salt and pepper, to taste. To make a lovely light batter, put the flour and baking powder into a mixing bowl with a good pinch of salt. 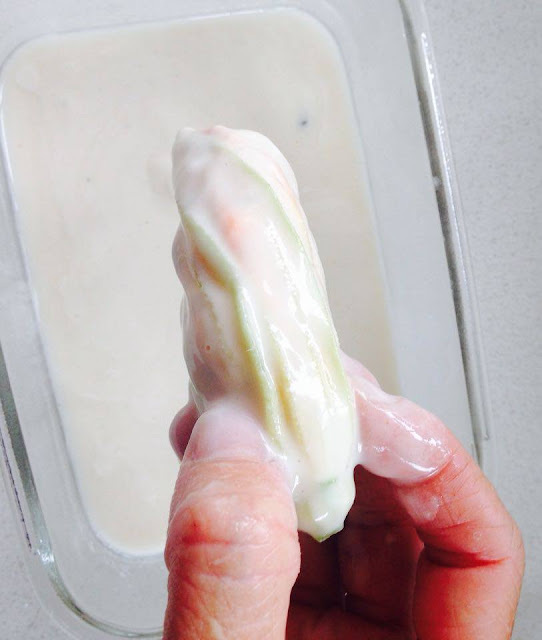 Pour in the white wine and whisk until thick and smooth. At this point the consistency of the batter should be like heavy cream or, if you dip your finger in, it should stick to your finger and nicely coat it. If it's too thin, add a bit more flour; if it's too thick, add a little more wine. 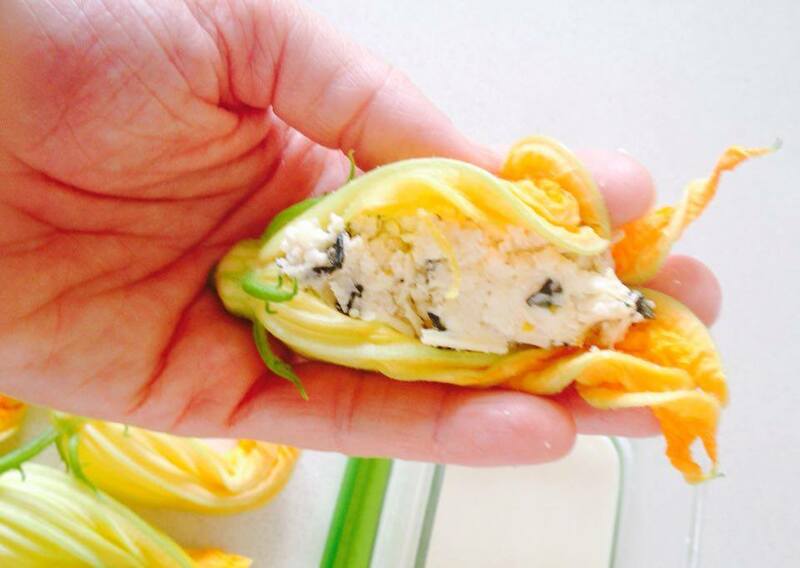 Open the zucchini flowers up gently and with a teaspoon, carefully fill each flower with the ricotta mixture until just full. Carefully press the flowers back together around the mixture to seal it in. Then put the flowers aside. Get the pan ready for frying and a plate with paper towel for draining then one by one, dip the ricotta-stuffed flowers into the batter, making sure they're completely covered, and gently let any excess drip off. Carefully put them into the hot oil. Don't crowd the pan too much otherwise they'll stick together. 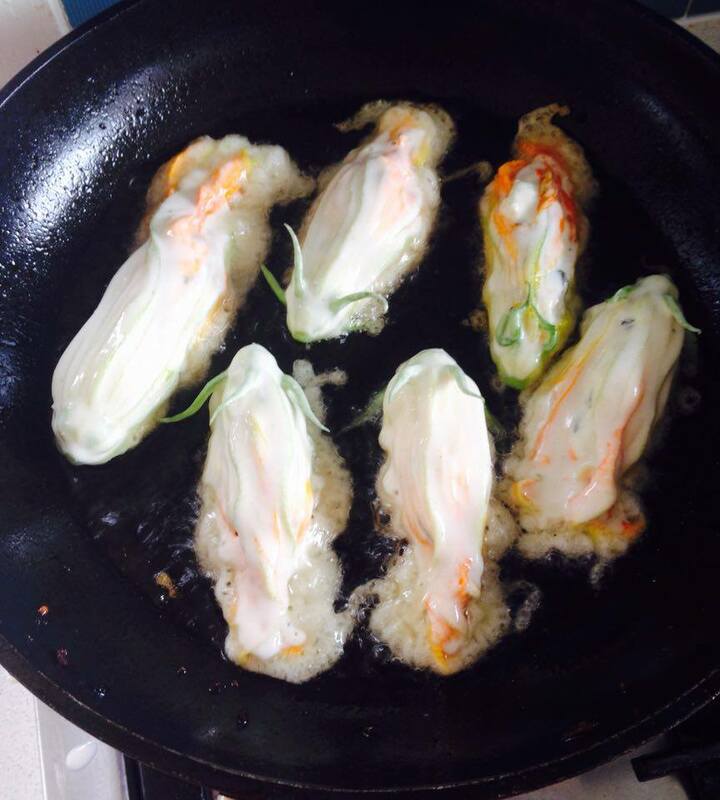 Fry until golden and crisp all over, then lift them out of the oil and drain on the paper towels. 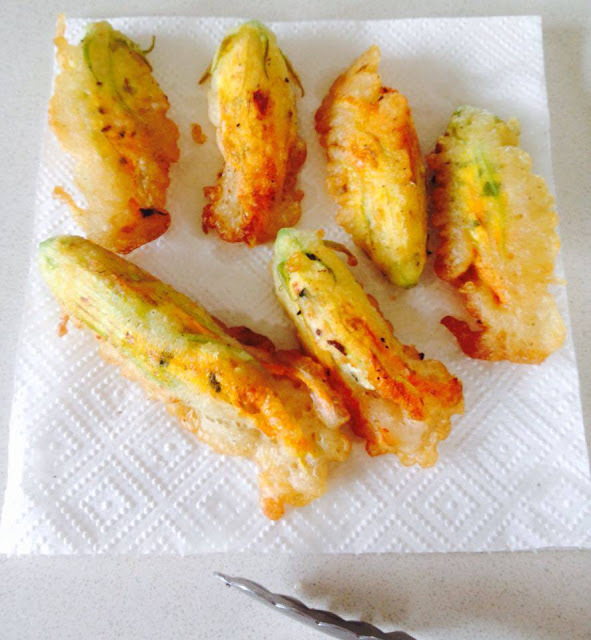 Serve with a lemon squeeze or some sweet chili sauce (home recipe of course) and eat immediately while crispy.